Your busy schedule doesn't always leave time to do tedious chores like dusting, polishing, and mopping. Yet a clean, well-organized West Hartford or the Greater Hartford Area home can reduce your stress and improve your quality of life. 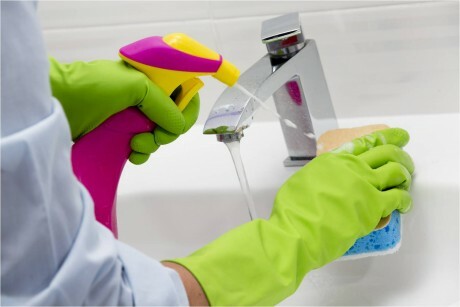 This is why Bright Cleaning Services, LLC offers a variety of cleaning services. Throwing a party or special event in your home? Bright Cleaning Services, LLC will take care of all the cleaning before and after so you can relax and enjoy entertaining your guests without worrying about the work involved in the clean-up. We know that doing a spotless job on each visit is how we build your trust and our friendly professional staff and detail oriented work ethic are how we have built our reputation for customer satisfaction in the West Hartford and the Greater Hartford Area over the years. If you are looking for a trustworthy and efficient housekeeping service for your West Hartford or the Greater Hartford Area home, then give Bright Cleaning Services, LLC a call. If any piece of furniture should not be polished or a client has a special product for a particular piece of furniture, Bright Cleaning Services should be informed about it before cleaning. Any piece of paper laying on the furniture (even if it looks unimportant) we will leave it there if we do not have other instruction about it (we do not want to throw out papers which might be important to a client). Regular service does not include lifting of item over 30lb. Cleaning standard on regular bases does not include: cleaning closets inside, dressers inside, cabinets inside, oven inside, refrigerators inside, any item from deep cleaning routine (unless is specified and client will be aware that cleaning might take longer).